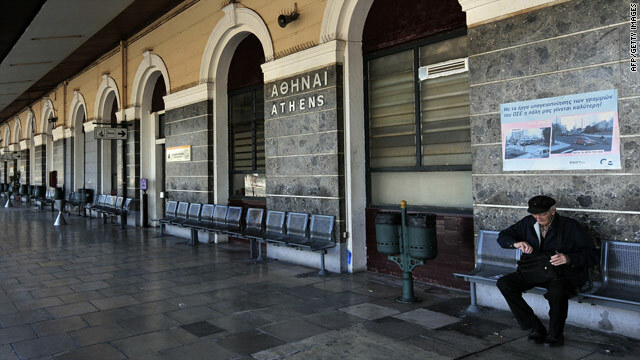 An elderly man sits on an empty train platform in Athens during a 24-hour general strike on May 20, 2010. (CNN) -- Workers in Greece and Spain were staging protests Thursday over their respective governments' austerity measures. A 24-hour strike began in Greece at midnight (5 p.m. ET), shutting down schools, businesses and most public transport. Hospitals were operating on a skeleton staff and international flights were running, but domestic flights were shut down. Public sector union ADEDY and private sector union GSEE called the strikes against the government's austerity measures, in particular the pension reforms announced last week. The reforms include raising the retirement age, which varies in different professions. Tens of thousands of protesters were also marching in three groups toward Parliament, where they planned a demonstration later Thursday. Spanish government workers were set to protest at 6 p.m. (noon ET) outside the Ministry of the Treasury in Madrid and outside the central government offices in their respective towns. The General Union of Workers (UGT) called the one-hour demonstration to protest the government's plan to cut government worker pay by 5 percent this year and freeze it next year. The measures are part of Spanish Prime Minister Jose Luis Rodriguez Zapatero's austerity measures. Local crowds were expected at the demonstrations, but government workers were not taking the day off because the protest was happening after the end of the workday. 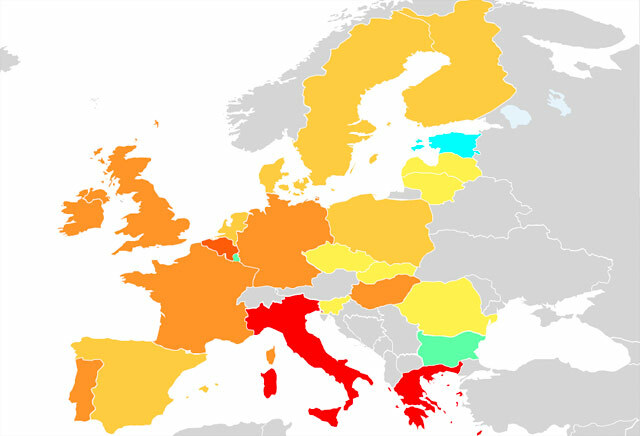 Spanish unions have also called a government worker strike for June 8. Journalist Elinda Labropoulou in Athens, Greece, and CNN's Al Goodman in Madrid, Spain, contributed to this report.